The right photography poses can make such a huge difference to whoever you're photographing. Show your model off at their best with these posing techniques. Photography poses are difficult to get right at times. Picture the scene ... you have your model all set up, ready to click the shutter, and something doesn't look right. But it's difficult to put your finger on exactly what's not right! There are some photographic rules of thumb that will steer you in the right direction. Get the model poses right and your photos will suddenly take on a highly polished finish. Here's a quick example, have a look at the image below. In the "before" model pose the model appears heavy set. 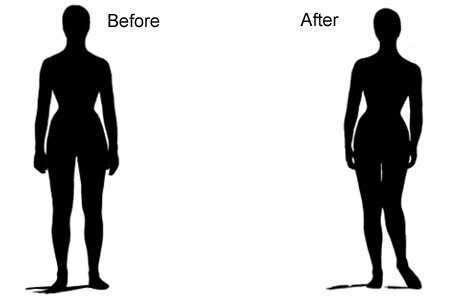 A little shift of the feet, hips and shoulders in the "after" model pose and there's a world of difference. Suddenly the model looks far more feminine - the only change, the pose. First of all, it's worth a mention of the approach many photographers take - rattle off plenty of photos, and surely one of them will come out ok. I've written about this approach before (and my own Dad is probably one of the worst I know!) and it is a foolish way to proceed. The trouble is, when you take thousands of photos and do little more than cross your fingers and hope for the best, you end up frustrated by your lack of success, and a hard drive stuffed full of average images! Far better to put a little thought into your photography first, so that when you do take a photo it stands a great chance of being a teriffic shot. And with portrait photography, will do your model justice too! First, photography poses work best if you chop your model up into sections. Sounds a little harsh, I know! Think of your model in terms of head, legs, arms and body. In this first example the model poses in the shape of a letter "I" in the first pose. The "I" pose tends to suggest a formal pose. It can also suggest strength or elegance, or even, as I like to think, a certain aloof-ness! The concept here is easy to understand - the model poses with feet together and hands and arms shaped equally on both sides of the body. In this type of photography pose the hands don't have to be by the side of the model - that can look a bit too formal - but they should look fairly symmetrical. In this example the model poses with the head bent to the right and makes a slight curve with the body to create a letter "C". The "C" pose tends to suggest something far more feminine. That said, it doesn't have to be restricted to women; males - feel free to get in touch with your femine side! The "C" pose does tend to add a little lightness to the model so it's one to use where you want to move away from the hard-ness that's implied by more of an "I" pose. It's also quite an easy pose to direct. All you need to do is ask your model to place one foot out, slightly diagonally forwards or backwards of the other, and tilt the head down towards the toes of that foot. Almost like there's a piece of string tied to the toe of the outstretched foot and the other end attached to the top of the model's head. In this final example of photography poses the model assumes an "S" shape with their body. My personal opinion is that the "S" pose creates the most graceful of model poses. Far more graceful than the harsher "I" pose, and even softer than the "C" pose. It might seem that it's too feminine a pose for men, but not so! Try it and you'll find that, with men, it adds a certain 'cool-ness'! In terms of directing your model it is a little more tricky though. Ever stood there saying "now move your foot out a bit, then look down, no the other way, no, your foots come back, no, not like that ...!" A diagram like the one shown here certainly helps your model to understand what you're after. In effect it's the same as the "C", but instead of the head tilting down to the toes of the outstretched foot, the head tilts to an imaginary point on the other side - imagine the other foot is outstretched, that's where they should tilt their head. So, that sums up a good starting point for model poses. To really get to grips with how to pose your model it helps to spend a little time studying and experimenting. I know this sounds a bit boring, but it will be worth it, I promise. Think about it this way, if you learn all the ins and outs of photography poses now, that knowledge will stay with you and you'll be taking fabulous model photos for ever more. And if you never get around to learning, you'll always feel disappointed with the pictures you take. And that would be a real shame. 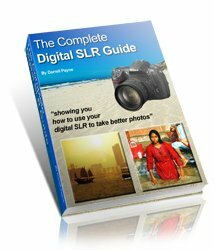 I have come across a great guide to photography poses that I think would help you learn the secrets of posing models. It's packed full of diagrams to illustrate how to pose your model, but also, and this is why I like it so much, includes more of the "theory" behind photography poses. I know as soon as the word "theory" is mentioned creative types like photographers run for the hills. But please don't! Stop, and run back down again! A little theory really helps because you will then learn why a particular pose works, and why other poses fail. Once you've learnt why certain poses work you can go on to experiment knowing that what you try has a high degree of working - not the fire-off-a-thousand-shots-and-hope photography my Dad practices! So there you have it, a basic introduction to photography poses, and a fully explained detailed posing guide for when you're ready to get into the (sorry to be boring!) theory. Take you're portrait photography to the next level! 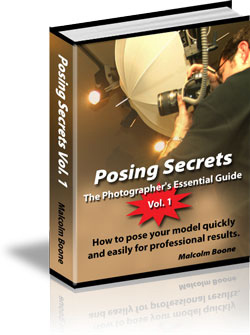 If you're stuck for creative pose ideas take a look at this eBook - the ultimate guide to photo poses. And the best thing - all the techniques are fully explained so that you can take your own amazing photos. Start taking portraits that will astound your friends, family, and model, today!